The Hotel Mont Lac has 4 double rooms and 2 apartments. Each has a private terrace with panoramic views of the lake and mountains. Guests have free access to the wellness area. Each room and apartment is equipped with a flat screen tv, free wifi, hairdryer, soap, shampoo, mini bar and a furnished terrace. The apartments do not have a mini bar but have full kitchens. There is free parking on site. 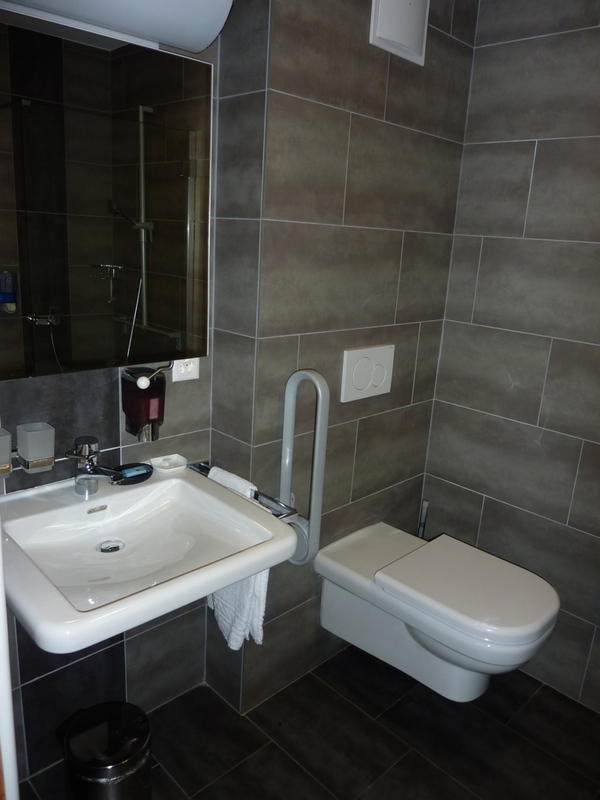 All are wheelchair accessible and one room is particularly suited for disabled guests with an adapted bathroom. This double room has 2 twin beds that can be pushed together to make one large bed, or kept separate to make 2 single beds. This room does not look directly out on the lake but does have a private terrace that overlooks the lake. Breakfast is included in this price. The double rooms have queen size beds. They each look directly out on the lake and have a private terrace with panoramic views. Breakfast is included in this price. Our one bedroom apartment has a double bed to accommodate 2 people. It has a fully equipped kitchen and cosy sitting area. It also has a private terrace with panoramic views of the lake and mountains. Upon request, breakfast can be arranged with the hotel. Our two bedroom apartment has a room with a double bed and a room with three single beds. It has a fully equipped kitchen and cosy sitting area. It also has a private terrace with panoramic views of the lake and mountains. Upon request, breakfast can be arranged with the hotel. Children and extra beds: All children under 2 years old are charged 10 CHF per night for use of a baby bed. The maximum number of baby beds per room is one. Cancellation : You may cancel free of charge up to 7 days before your arrival. You will be charged the total amount if you cancel less than 7 days before arrival. Prepay: Prepayment is not required.